The Week in HD - Monday 24th June | What Hi-Fi? Hello everyone, and welcome to The Week in HD – our guide to all the must-see high-definition TV shows, films, sports and Blu-ray releases to grace your screens over the next seven days. You can also get daily updates on what's on by following our twitter feed @TodayinHD. 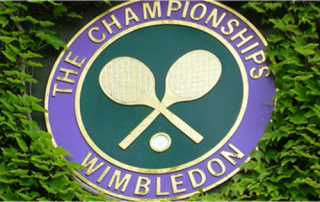 The 2013 Wimbledon Championships starts this week, with live coverage and highlights every single day across BBC One and Two HD – chances are you'll see it when you turn your TV on, so forgive us for not listing every showing. Just as excitingly, Top Gear is back on our screen this Sunday on BBC Two HD. Other great British events include Glastonbury and the British F1 Grand Prix – it's going to be a good week. CGI-tastic historical epic by Zack Snyder about a 300-strong Spartan army taking on the mighty millions of the Persian forces. Gerard Butler stars as Spartan King Leonidas alongside Lena Headey. Fromage. A serial killer that strings up his victims as musical instruments catches Hannibal's eye – appreciation for a fellow soul or suspicious of the competition? An inventive, memorable episode. Target. Castle is pushed to the brink and takes matters into his own hands when he learns that his daughter Alexis has been kidnapped. As he races against time to get her back, there's a big surprise in store for Castle's family. In Care Of. That's a wrap on the sixth and penultimate series of Mad Men, and what a finale it is. Love him or hate him, Don Draper remains the core of the show and the finale revolves around his life and realisations after a truly rock-bottom period in his life. It's not all doom and gloom, though, as others in the firm find a reason to smile, and we finally (sort of) solve the mystery of Bob Benson. Live coverage of Spain v Italy – the second semi-final of the Confederations Cup taking place in Brazil. Gary Delaney, Holly Walsh and Josh Widdecombe join the regulars on the panel to mock and laugh at the week's news. Hosted by Dara Ó Briain. Jimmy Carr, Griff Rhys Jones, Dave Meyers and Susanna Reid try to fib and bluff their way through the game, with regulars David Mitchell, Lee Mack and host Rob Brydon joining in, too. Day 1 Highlights. If you're being sensible and staying at home instead of wading out into the sea of mud and people at this year's Glastonbury music festival, you can catch up with the highlights from the comfort of your sofa. Jo Whiley, Lauren Laverne and Mark Radcliffe present, with Arctic Monkeys headlining the Pyramid Stage at 11pm. Mixing sci-fi and military genres with a dose of satire, the film is set in the distant future, where high school kids are forced to join the military to become fully-fledged citizens in a fascist society – but once they do, they are embroiled in a large-scale war with giant insectoid aliens. Starring Neil Patrick Harris, Michael Ironside, Denise Richards… and lots of bugs. Live coverage from the qualifying session at Silverstone. More Glastonbury highlights, this time with The Rolling Stones' first-ever appearance at the music festival's Pyramid Stage. If Glastonbury isn't your cup of tea, then how about a little bit of heavy metal and rock from this year's Download Festival to wind down on a Saturday evening? Slipknot, Korn and Bullet For My Valentine are on the main stage at Donington Park. Live coverage of this year's race at the Silverstone circuit. The boys are back, and they're in New Zealand with the first epic race of the season - a state-of-the-art yacht against a car that we've never seen on TG before. Elsewhere, they test a trio of new hatchbacks, while a host of celebs break in the new Reasonably Priced Car. Gary Lineker presents live coverage of the Confederations Cup Final taking place in Rio de Janiero, Brazil.